"We’re not working for Michelin stars. 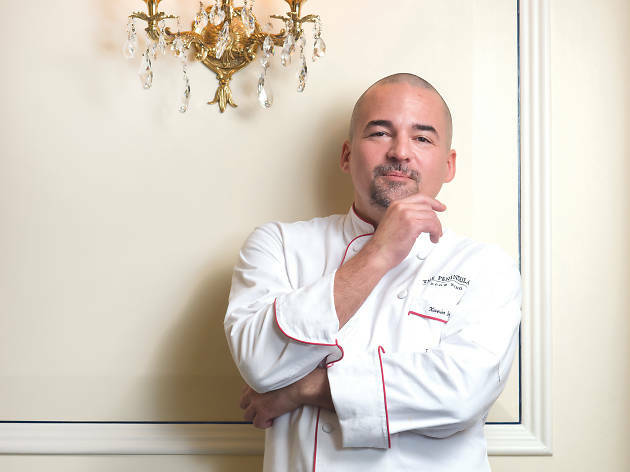 We’re working to make the customers happy when they leave"
Fine dining just got a lot finer at The Peninsula with the arrival of a new executive chef at Gaddi’s, Xavier Boyer. Although born in Montpelier, on the Mediterranean coast of France, Boyer spent much of his childhood in the Caribbean, living for 10 years in Anguilla and Saint Martin. It was there he first started cooking, at his mother’s beachside restaurant. Later, he went on to attend culinary school and apprenticed under the legendary Joël Robuchon. 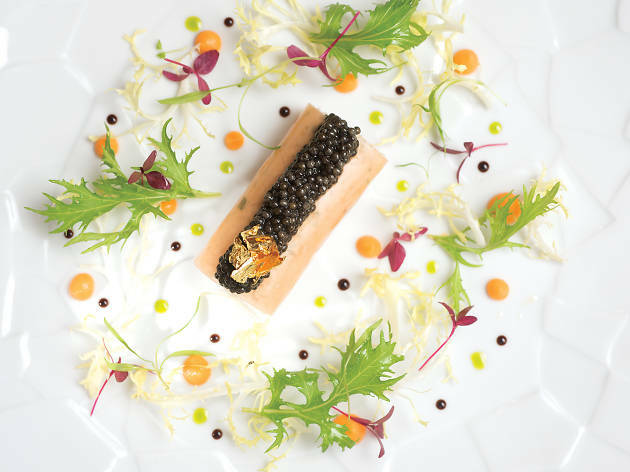 The apprenticeship blossomed into a 16-year-long partnership with Boyer helming L’Atelier de Joël Robuchon in London, New York and Taipei. 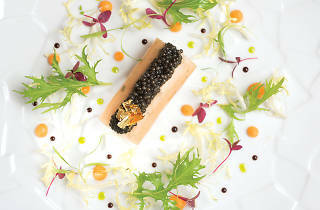 Boyer earned his first Michelin star at the age of 27, a feat few can match in the culinary world. Now taking over from chef Remi van Peteghem at one of Hong Kong’s most revered French restaurants, the culinary heavyweight talks about what inspires him and the disciplinary methods he uses to create his dazzling dishes. Montpelier is really nice and I go back there all the time. You get a lot of varieties of ingredients, especially in the summer. When you go to the market it’s like a bouquet of flowers. Everywhere you go, you have cherries, tomatoes and courgettes. It’s really amazing. Are there any special ingredients that inspired you when growing up? Definitely the Mediterranean flavours, where you have all these influences from North Africa and from Greece. I work a lot with ingredients like tomatoes, courgettes and with spices. I would say the biggest influences have been the vegetables and fish from that region. What I like about them is that they’re not fatty and you can be very playful when it comes to vegetarian dishes. 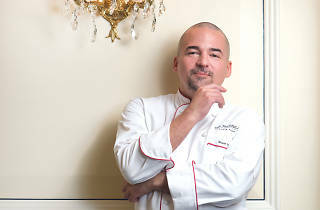 You attended culinary school, including the École Supérieure de Cuisine Française in Paris. What did you learn there? I learned all the basics. From how to behave to the mentality of cooking, like taking your time and not being impatient. You learn not to talk back to a guest when they change their mind and not to rush your dishes. Customers are more disappointed if a dish is not cooked properly rather than it arriving slow. You apprenticed under Joël Robuchon and worked with him for many years. How was your working relationship and what influence did he have on your work? Including my apprenticeship, I’ve worked with him for 16 years. Of course, he influenced my cooking in many ways, but I had the chance to be an executive chef at a very young age. So I gained two Michelin stars at 27 and I gained two more stars in New York by the age of 30. In development and in creation, I was able and allowed to do whatever I wanted. There weren’t any restrictions. This allowed me to create dishes and express myself in a way younger chefs might not always be able to do. 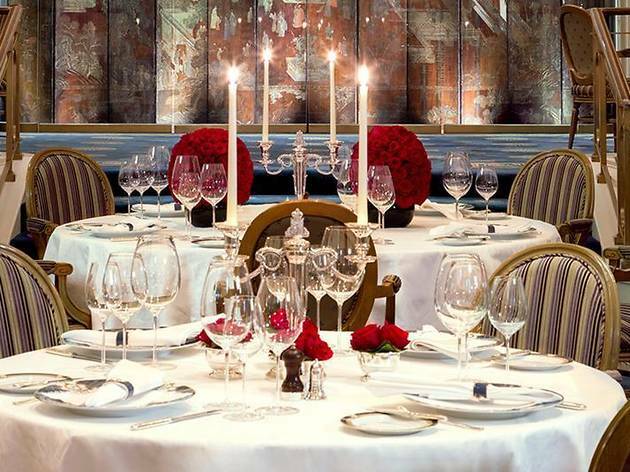 Were you surprised to receive Michelin stars at such a young age? Of course. I was grateful and it’s always a surprise. But we’re not working for the stars. We’re working to make the customers happy when they leave. And also [working] for us! The cooks and myself don’t see the customers, but we’re happy when we see our dishes going out looking pretty and well executed. We’re proud of ourselves when we do the job well. How do you create a dish from scratch? Every day we try as many different combinations as we can. About 70 percent of them don’t work straight away. Every one or two months, we try something and think ‘last month I did that. Maybe this will make a good combination’ and then we come out with something brand new. Your platings are beautiful. How do you design their look? It’s a work in progress. You try and you try. 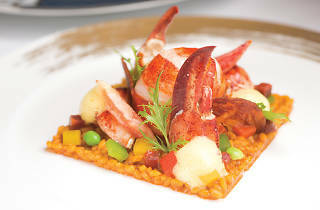 For the lobster risotto, for example, we did five different presentations. We just take pictures and see which ones we remember the next day and decide which presentations are better. If you never try, it can never work. You can’t just snap your fingers and it happens. It’s all about work. You’re presenting a new menu at Gaddi’s. Is there anything particular that people can look forward to? We want the customers to be happy. To eat something that is cooked properly and seasoned properly. We’re not reinventing anything. The basics are there all the time. Many chefs think they should work outside of the box, but the result is they end up forgetting the basics. Just be yourself, do the food properly and always respect the product. You’ve worked in major cities like London, New York and Taipei. Do you adapt differently in each city and what do you think makes things different in Hong Kong? Each city has a different market. In Hong Kong, what I’m using locally are the shellfish, like local octopuses and clams. I’m still new to the city and not too familiar with the local market and ingredients. Give me a little bit of time and things will change. What is your go-to comfort food and what kind of dishes do you make at home? I love dim sum but I don’t make them myself. They’re hard to make and require meticulous crafting. Usually I make something along the lines of rice and fish – nothing like my creations at work. At home, what I like to do is to work with only three flavours, nothing more. Keep it simple. 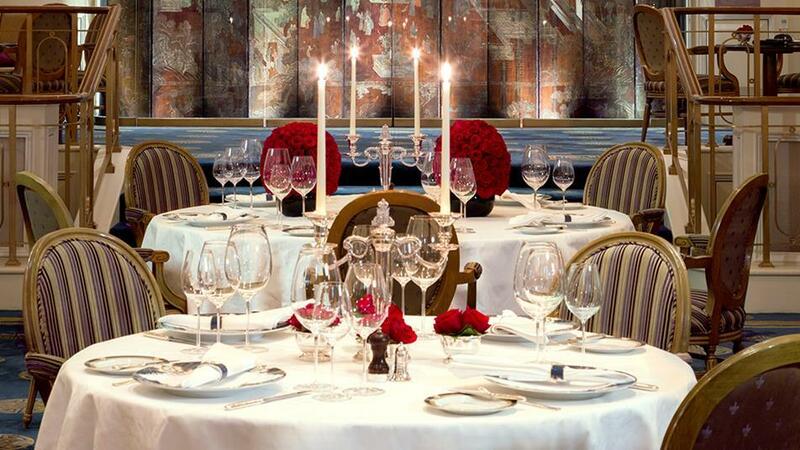 Established in 1953 Gaddi's is home to high-dining French cuisine. With it's private lift, live music and candle-lit setting diners feel pampered before they have even looked at the menu. 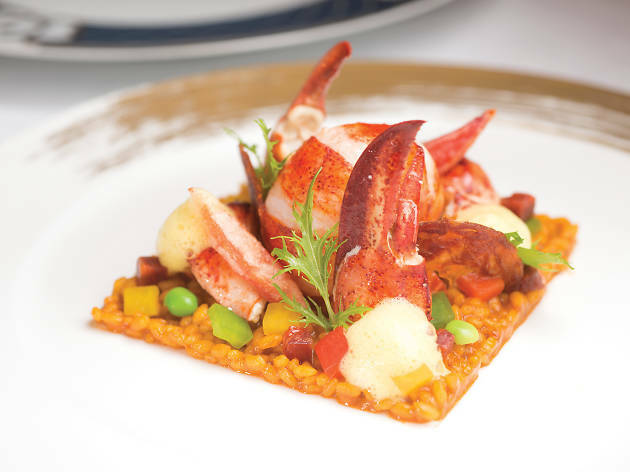 Exquisitely presented seafood, meats and desserts come a la carte but for a really special touch ask Chef Xavier Boyer to design your own personal menu and sit back and enjoy the Gaddi's staff's 5-star service.